It's the week before Christmas and all through the house packages and presents are being boxed, bowed and hidden about. Still have a few stockings to fill? 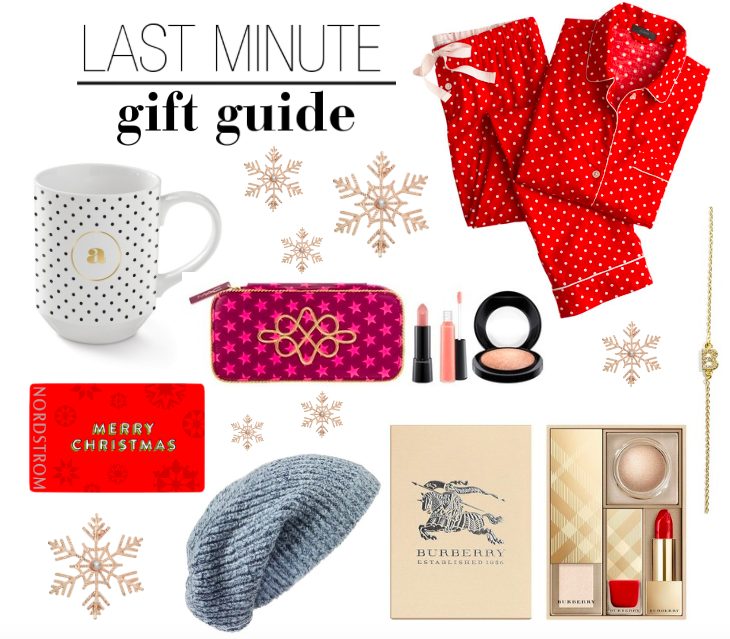 Don't worry...here are some great gift ideas that are on their most-wanted list. What makes it even easier is that those amazing retailers (like my favorite Nordstrom) guarantee FREE DELIVERY by CHRISTMAS EVE! Last day to order is Dec. 22 so don't wait. Hope this helps any of you procrastinating Santas out there...Get it, she's sure to love it! Happy gifting and merry Monday loves!